Born July 22, 1903 in Terre Haute, IN. Raised in a rough neighborhood, Taylor learned to fight as a child and, at the age of 17, turned professional. An extremely busy fighter, Taylor fought nearly 15 times a year during his career. 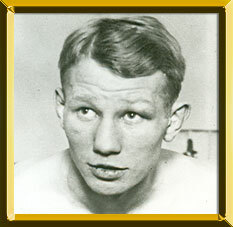 Dubbed the "Blond Terror of Terre Haute" because of the aggressive and ruthless manner in which he fought, Taylor possessed a hard right hand, left hook and tremendous stamina. This crowd-pleasing style enamored him to fans. Rugged bouts with Memphis Pal Moore, Phil Rosenberg and Pancho Villa made him a headliner. In 1925 he split bouts with Bushy Graham (ND-W, L12) and Jimmy McLarnin (W10, LF2). Wins over McLarnin in 1926 (W10) and Midget Smith in 1927 (ND-W) earned him a shot at the vacant NBA bantamweight title against Hall of Famer Tony Canzoneri. The pair boxed to a draw on March 26, 1927, but Taylor bounced back with a win over Abe Goldstein before winning the rematch with Canzoneri on June 24th to claim the title. On August 21, 1928, Taylor relinquished the title to campaign as a featherweight. Although he never challenged again for a world title, he split two bouts with Hall of Famer Battling Battalino before retiring from the ring in 1931 with a 70-23-6, 58 ND (35 KOs) record. Following his fighting days, Taylor became a boxing manager and promoter. He died on March 8, 1962 in Los Angeles.